Frustrated by the costs of maintain ever larger data centers-or building new ones-many companies are exploring virtualization. Virtualization lets your IT staff turn your data center into an internal cloud of computing resources controlled by a single virtual data center operating system (VDC-OS). Because the VDC-OS seamlessly aggregates network resources, you can consolidate physical servers and reduce hardware costs. With fewer machines in the data center and the ability to automate routine processes, your management costs should also go down. 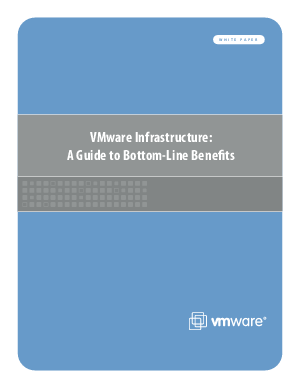 The typical return on investment (ROI) period for a virtualization project is six months or less-so most virtualization projects quickly pay for themselves.